1) Dedicated drinking water system for providing clean and safe water for all drinking and cooking needs. Note: One of the biggest misunderstandings in the market today is consumer thinking that a whole house filter system is designed for drinking water. It is not! A whole house system can only remove small percentage of tap water contaminants comparing to a dedicated drinking water system. 2) Whole house water filtration system to remove chlorine, chemicals, and provide soft water for showering, laundry and save you money every month. Also, It will give you softer skin and hair. 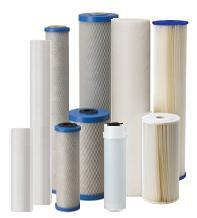 3) Shower filter can be used when a whole house water system is not installed. It will give you softer skin and hair. 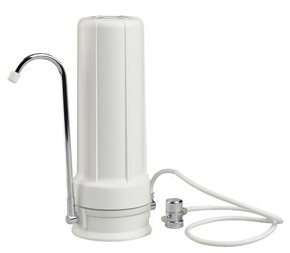 AQ4000 Counter Top Water Filter - Easy hook up to standard faucets. Reverse Osmosis system is one of the most effective technologies for water purification. It can remove up to 99.999 percent of contaminants from your water. Its uses a membrane, containing filtering pores that are close to the size of water molecules. It will provide all the clean and safe water you need for your drinking and cooking needs. 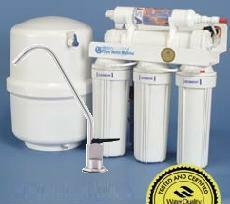 This system is very popular and one of the top Reverse Osmosis system on the market. Water Ionizer is somewhat of a totally different product than your water filter systems. 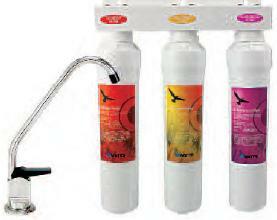 Water filter is function is to filter out contaminants from your water before you drink it. Whereas, water ionizer's purpose is to help your body fight off toxins, contaminants, acidity in your body. Ionized water has three major benefits: 1) Alkaline water 2) Small water clusters 3) Oxidation reduction potential. All three benefits together helps your body to stay healthy. AQ4100 Shower Filter is installed at the shower outlet. This will remove chlorine and VOC chemicals for showing. Other than the obvious health benefits of showering in filtered water, the cosmetic benefits are even more noticeable. You will experience softer skin & hair in 1 week! Rain water is nature's best water for showering. It is chemical free and soft. Living in a soft and natural world is simply a beautiful decision. Soft water is gentle, beautifying, enriching. Soft water means soft, clean skin; soft silky, more manageable hair. 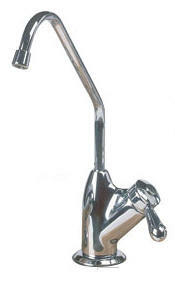 Removes scale build up on pipes, water appliances, and water spotting. Dishes are cleaner with less soap. Appliances using water such as dishwasher, clothes washer, water heaters, boilers, ice makers etc. last longer and more efficient. CBC reports on lead found in tap water of homes across the country that are exceeding safety levels of 0.01 ppb.